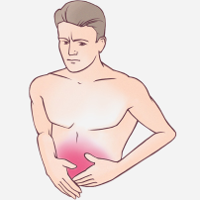 All kinds of things can cause diarrhea – food poisoning, diseases like Celiac Disease or typhoid fever or parasites like Giardia (which causes giardiasis, or “beaver fever”), just to name a few. If diarrhea is caused by a disease, then obviously treating the disease is the way to go. But in the second case, diarrhea that isn’t obviously connected with any particular disease, diet is one avenue to explore. Just like its opposite number, constipation, diarrhea is very strongly influenced by diet, and changing your diet can have dramatic effects on your bowels (for better or for worse). Many people find that just going Paleo clears everything up – those people are the lucky ones. That’s the first therapy to try, and if it works for you: great! Enjoy it! But not everyone gets relief from diarrhea just by going Paleo; sometimes it takes a little more intensive intervention. There’s no one easy answer, but here you’ll get a quick preview of two potential factors that can contribute to diarrhea: gut flora problems and food sensitivities. Gut flora are huge when it comes to diarrhea. The best proof of this is in antibiotics. Broad-spectrum antibiotics (penicillin and amoxicillin, for example) are like a carpet bomb: sure, they kill the bad bacteria that make you sick, but they also kill the good ones in your gut. And one of the most common side effects is diarrhea. It even has a special name: Antibiotic-Associated Diarrhea. A simple and effective cure for antibiotic-associated diarrhea? Probiotics. Get enough sleep and manage your stress. The best therapeutic diet and supplement regime in the world can’t make up for stress hormones going haywire. Experiment to see if high-fiber prebiotic foods might help you. Sometimes they help and sometimes they hurt, so just start slow and be cautious about it. Drink lots of bone broth. Bone broth is high in gut-healing proteins – plus it tastes delicious. Explore food sensitivities that might be irritating your gut. See the next section for more details. You might also look into the possibility that you have a more serious gut flora problem, like Small Intestinal Bacterial Overgrowth (SIBO). In that case, the best thing is to work with a professional who can help you get the appropriate lab tests and treatments. Remember that healing a damaged gut takes time and patience; it’s not going to happen overnight. It probably won’t even happen in a week. You might have to try several different things to find something that works. Just take it slow and in the long run, the benefits will come. Wheat and other gluten grains. In this study, researchers found that a gluten-free diet helped patients with diarrhea-predominant IBS. Dairy. Lactose intolerance is a major cause of diarrhea: if you haven’t tried a dairy elimination, it’s absolutely worth a shot. Coconut. Yes, it’s Paleo. No, that doesn’t make it automatically “safe.” Many, many people have bad reactions to coconut and feel much better with it out of their diet. 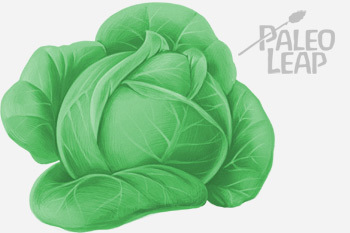 Cabbage is tasty, but very high in FODMAPs. FODMAPs carbohydrates. FODMAPs are carbohydrates found in many different kinds of fruits and vegetables, including some that are completely Paleo and perfectly healthy for most people. But for people with FODMAPs intolerance, eating these foods can cause diarrhea among other symptoms. And taking out FODMAPs helps: in this study, a low-FODMAP diet was particularly effective at reducing diarrhea symptoms in patients with IBS. You can get more information about which foods are high and low in FODMAPs here. These food sensitivities are probably connected with gut flora issues – for example, probiotics are an effective treatment for lactose-induced diarrhea in children. But food sensitivities can also cause diarrhea in other ways. In any case, the solution is very simple: removing the problem food (or food group). If you’re not sure about an intolerance, try taking it out for a 30-day trial period to test. If you’re new to Paleo, particularly if you’re coming from a low-fat diet, you might notice some diarrhea around the transition. This usually has a very simple cause: too much fat, too fast. Coconut oil is a particularly notorious culprit: you really have to get used to the stuff before you start eating it in bulk. The solution: ease up on the fat and re-introduce it slowly. Don’t jump straight from a low-fat diet into butter coffee for breakfast, bacon-wrapped avocados for lunch, and duck confit for dinner. That’s a recipe for a very unhappy stomach. Fat is great and will help you avoid constipation in the long run, but you’ve got to give your body time to get used to it. Food isn’t the only thing that can cause diarrhea. If you have any kind of other problem – a bacterial infection, a parasite, a virus – then treat that first! But for diarrhea that doesn’t appear to have any other cause, diet can sometimes help find an answer. Healthy gut flora make for healthy bowel movements. Take care of yours with probiotic foods, plenty of sleep, and good stress management. This is a very complicated area so it may help to work with a medical practitioner who can help you figure out specifically what’s going on. If you have a food allergy or intolerance, avoid your trigger foods. If you’re coming from a low-fat diet, ramp up fats (especially coconut oil) slowly. Again, all of this is assuming that there’s nothing more serious going on. Sometimes there is, and in that case, your doctor is the person to ask. But if there really isn’t a separate underlying cause, experimenting with various dietary strategies is definitely worth a try.